As if things weren’t bad enough at Cardinals Camp, coach Whisenhunt decided to take one last spin on the quarterback carousel. 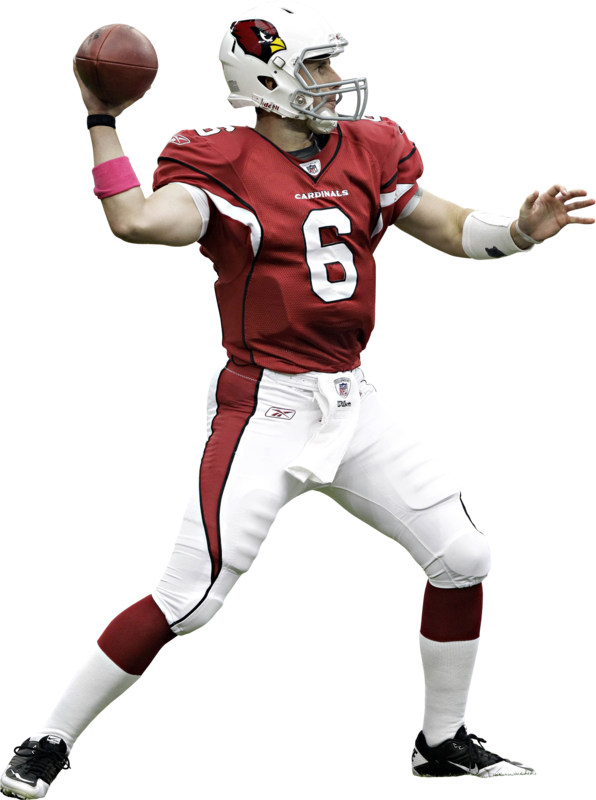 The Cardinals made another desperate move on December 7th when they placed Quarterback Max Hall on injured reserve and signed Quarterback Richard Bartel. 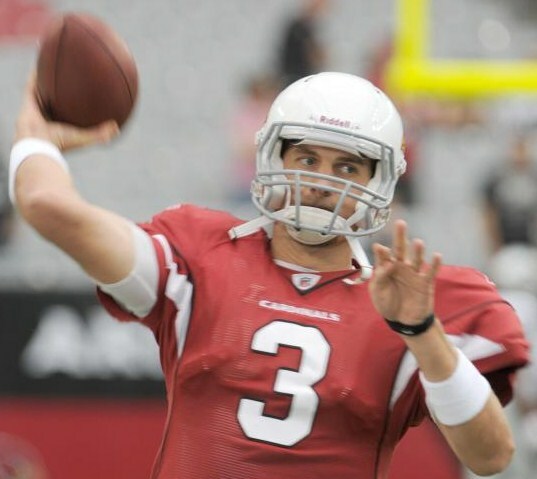 The Cardinals ended up starting their third string rookie QB John Skelton the last four games of the season, and obviously were not confident enough in either Max Hall or Derek Anderson as his backup, so enter Richard Bartel. Bartel comes from the United Football Leagues Sacramento Mountain Lions, where he was a backup to Daunte Culpepper. 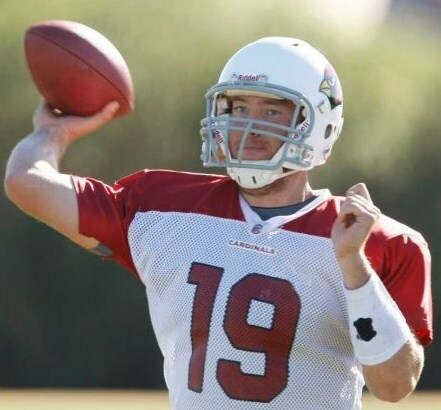 Yes, the Arizona Cardinals signed a backup quarterback from the United Football League! I think they were trying to find lightning in a bottle, like they did with former grocery bagger and Iowa Barnstormer Kurt Warner. John Skelton did not do a bad job in his first three games as a starter, and ended up 2-2 on the season. His overall stats are not that impressive, with a 47.6 completion percentage, 2 touchdowns and 2 interceptions, and a 63.2 quarterback rating. I don’t feel like John Skelton did enough to become the starter next year, but he may well develop into a productive player and did enough to at least stay on as a backup. He is young and raw, and should at least be allowed some more time to see what he can develop into. In the meantime, with the final game of the season out of hand, coach Whisenhunt got on the quarterback carousel one last time, and decided to put former Sacramento Mountain Lions backup Richard Bartel into the game against the San Francisco 49ers. With 2:39 left in the third quarter, 27-year-old Bartel was given the opportunity to play in his first NFL game. Bartel had spent time with Dallas, Cleveland, Jacksonville, and the Washington Redskins previously, but had never seen any playing time. With the Cardinals trailing 31-7, Bartel threw his first completion to Larry Fitzgerald for a 31 yard gain. On the very next play Bartel hit Fitzgerald again for an 18 yard gain, and the Cardinals were sitting on the 1 yard line with first and goal. The Cardinals could not score and turned the ball over on downs. In his third possession, Bartel began his drive on his own 7 yard line and moved the ball to the 49ers 43. He made one bad throw to an open Andre Roberts, and the ball was intercepted by Tarell Brown and returned 63 yards for a Touchdown. In the Cardinals final possession, Bartel started at their own 28 and drove the team down to the 49ers 3 yard line. First and goal, and again they could not score and ended up turning the ball over on downs. Overall Richard Bartel did not do a bad job, completing 16 of 28 (57.1%) passes for 150 yards and one interception. As you can see from the chart above, the Cardinals basically have four backup quarterbacks on their roster. Derek Anderson and Richard Bartel are 27, Max Hall is 25, and John Skelton is 22. They all still have time to develop into starters in the NFL, but some are running out of opportunities. From what I read, Coach Whisenhunt has been conducting one-on-one interviews with every player between yesterday and today to give each player an idea of where they stand within the organization as of now. I hope that given the 5-11 record this season, and utilizing four (3 rookies) different quarterbacks has opened the eyes of Coach Whisenhunt to realize that the best thing for the Cardinals is to get a proven NFL veteran quarterback to lead this team. As a player, you can’t have much confidence in a quarterback that has never played a down in the NFL, as those standout rookie quarterbacks don’t come around too often. As far as the ownership, I hope this has opened their eyes to understand that you have to pay the price for success, and that means paying for good players and not letting them go to other teams. The combination of losing Kurt Warner, Antrel Rolle, Matt Leinart, Anquan Boldin, Karlos Dansby, Leonard Pope, and Bryant McFadden over the last couple of years, and not having a veteran quarterback really hurt the Cardinals this year. It changed them from a 10-6 team that played in the Divisional Playoff game in 2009 to a 5-11 team with a lot of questions. They were ranked 31st in passing yards per game (182.6), 32nd in rushing yards per game (86.8), 23rd in passing yards allowed (228.4), 30th in rushing yards allowed (2,323), and 30th in points allowed for the 2010 season. You can’t get much worse than that. ~ by Troy Erickson Realtor on January 4, 2011.